We have a wide range of different flash drives here at Calendar Lady Promotions including our Personalised USB Flash Drive People. They are handy little USB storage devices and they come in many sizes. Including 64MB, 128MB, 256MB, 512MB, 1GB, 2GB, 4GB and 8GB. So why not help to promote your business by having your details printed upon our Personalised USB Flash Drive People, then give them away as a promotional gift and stay advertised. 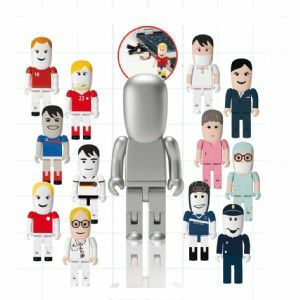 Other promotional and personalised items besides our Personalised USB Flash Drive People click here. To find out more about our Personalised USB Flash Drive People click here and fill in the contact form and we'll get straight back to you.